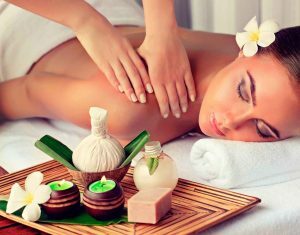 Bali is famous worldwide for its spas and at the Peninsula Beach Resort, we pride ourselves in offering a variety of high quality, luxurious treatments that will leave you feeling blissfully relaxed. Massage, face, body, nail and hair treatments can be had in the Rose Aroma Spa, at the poolside counter, or, in the privacy of your own room. A full body massages using aromatic oils, with long firm strokes, stimulating pressure points and employing stretching techniques. Traditional cleansing treatment that soothes and exfoliates, removing upper skin layers. Body scrub involves aromatherapy and traditional massage after which the body is cleansed with a warm water bath. A cleansing facial that conditions and tones the skin. (If taken as a package of Mani-Pedi-Nail Art a 10% discount applies).